The words customer-centric and silos do not sit happily in the same sentence. 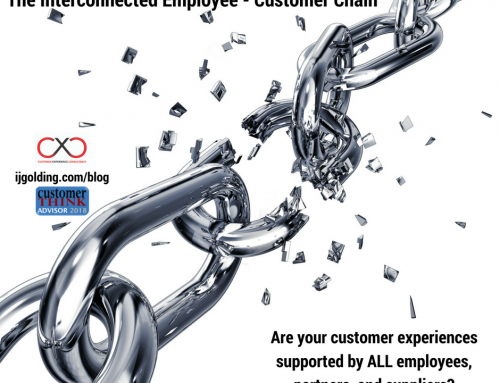 Silos harm culture and damage customer experiences. And they hold businesses back. In the last month alone, 1000s of words have been published on this very subject by the likes of LinkedIn, HBR and Forbes. But whilst all this earnest commentary is being read, liked and shared, over in the jobs section of LinkedIn we’re busy resourcing up the silos. Just in the last two weeks, eight Head of Customer Experience job vacancies have appeared on LinkedIn. Great! About time we put our recruitment budgets where our aspirations are. But these roles are not entirely what they appear to be. One will focus purely on acquiring customers, including running digital marketing campaigns. Five will focus on customer service, with responsibility for leading a customer care team and overseeing complaints and continuous improvement. In one role the link between employee engagement and customer satisfaction is highlighted, with a focus on hiring and nurturing talent. And one has many of the hallmarks of a CX role – establishing trust, optimising interactions across all channels – but with primary focus on scaling the support operation. Two of the eight – just two – are ‘proper’ cross-functional, strategic Head of CX roles, with a remit to develop and drive a customer experience strategy, drive a customer-centric culture and differentiate the brand. In addition to the technical aspects of the role – journey mapping and experience design – specific requirements include genuine passion, the ability to build relationship and lead high performing teams, and optimism. So that’s two of eight roles with any real chance of success in driving strategy. I am not in any way criticising the purpose of the other six roles, but why not call them what they really are? Specialist roles in their own right. Digital marketing is a specialism, so is customer service and so is process improvement. 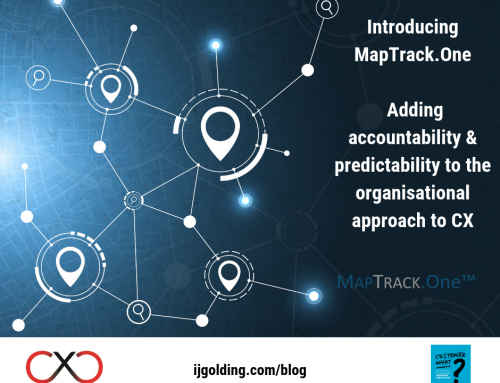 Each of those specialist roles is accountable for delivering part of the customer journey, and vital to its success. 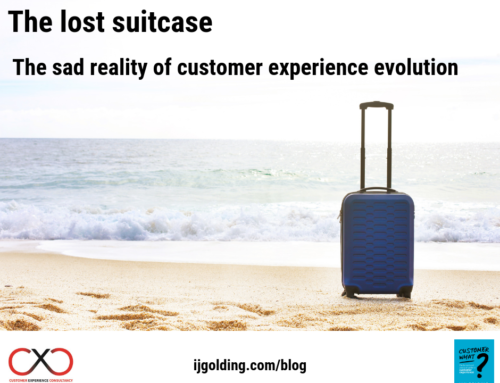 The end to end customer journey requires the umbrella of a customer experience strategy to guide it. Does your organisation have a ‘CX Purpose & Strategy Umbrella’? Does it matter which function you report into? Not really. It’s influence that counts. Does it matter what your job title is? Probably not. It’s what you do with it that counts. But the skill set matters very much. The way you construct and name job a title is a reflection of the way you do business. A siloed role indicates an organisation that thinks and operates in silos. A customer-centric organisation is naturally collaborative, seeing everything from the customers point of view. When that focus on customers is absent, or partial, you get coffee shop customers queueing for 15-minutes for drinks because your baristas cannot keep up with demand from your order and pay app (an issue you have been trying to fix for two years). You get airport ground staff throwing baggage around like they’re trying out for the rugby world cup and undermining your hard-won reputation as the most customer-centric airline on the planet. You get customers turned away at the ticket barrier because your rail ticketing system has so many exclusions and clauses that no ordinary human being can negotiate through the system. That’s what a Head of Customer Experience does. Works across the organisation. Sometimes fixing the nonsense of silo-driven own goals. Always working strategically, driving an organisation-wide collaboration effort so they don’t happen in the first place. So, come on recruiters and hiring managers, don’t let customer experience become a phrase that you throw around casually. Say what you mean. Like me, Beth is a Customer Experience Specialist and proud to be a Certified Customer Experience Professional (CCXP). Beth started out in internal communications, journalism, and knowledge management. It was during her time working in a commercial team in financial services that she first spotted the link between Customer Experience Management and business results – she never looked back. I am not sure it is something that has to do with recruiters and hiring managers as often as we may think. It has to do more with how the organisation’s senior leadership see CX and the stage of the journey they are at. Change doesn’t happen overnight and in particular cultural change requires time, vision, strategy, communication, etc. Hi Gianluca – how’s it going? Exactly! And if the Head of CX isn’t helping the business define the vision and strategy, and communicating what’s important to customers – who is? At last somebody has said it!! I occasionally glance at the roles and I have found the same thing. The other one is the UX / CX debate, you have roles advertised as customer experience and when you read the description states “must be familiar with Google Analytics”, “understanding of PPC marketing desired”, what they actually want is someone looking at the user experience of a website. This is not a customer experience role, or possibly may form part of a customer experience role. The other one is sales, if you have to monitor a portfolio of accounts and grow the account base, again, not a customer experience role. Clearly, not just a frustration of mine. Hi Ian. Yes – I said it at last!! I do share your frustration. And I worry that the organisations recruiting in this way actually believe they are investing in CX in the right way. They can’t be – if their Head of CX is focused only on sales / marketing / service. Ultimately, their CX efforts won’t drive improvements in the experience – and customers will not feel the benefit. Very frustrating – what do we do about it? At CX Talent Ltd – we see this all the time. This was just one of the reasons we knew there was a need for a CX specific agency. 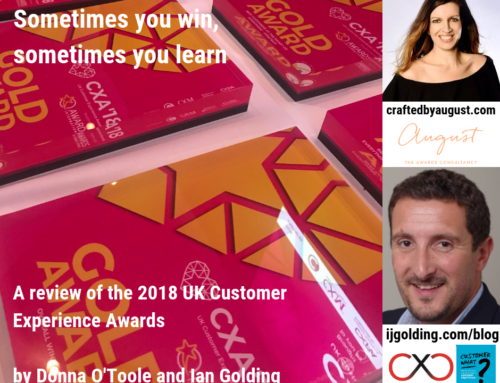 Customer Experience is such a misused term – there is a certain trendiness about it – but in applying for a Customer Experience Manager role – you might be applying for a call centre rep role or even a shop assistant!!. Our candidate base spans all aspects of Customer Experience from Transformation, Insight, through Strategy and Proposition, End to End implementation all the way through to Customer Comms across all channels. Candidates come from Marketing, Operational, IT and User Experience backgrounds and increasingly from Management Consultancy backgrounds. As the recruitment agency – its our role to get to the bottom of what a company is really looking for and we often encourage our clients to change a job title to reflect what the role actually is in order to find the right candidates. For candidates – its hard to search the job boards to find the right role as often the job title won’t even mention the Customer Experience aspect at all. An insight role might be called a Business Analyst, A customer experience strategy role might just reference the strategy part – but no mention of Customer – and dont even start on the digital aspect of it all! When we get given a brief we go straight to the candidates within our network to speak to the people we think would be most interested in the role and who have the right skill set and only once we have exhausted our network do we go to market with a role. We are always open to speaking to Customer Experience professionals and of course to assisting in the recruitment of the right people for your team! Great piece Beth and Ian! Thanks Jo. We definitely need more like you! I recruited an Insight Analyst a few years back – a new role which needed HR sign-off. We got up to15 or so versions of the role profile – every time HR got hold of it they took out the words Customer Experience and replaced them with Customer Service. It was exhausting, but I found the right lady in the end – she was amazing. It is hard for candidates. I heard from a recruiter in the US who described a perfect storm of organisations hunting in the wrong areas for talent because they are confused about what they want/need. And a pool of talent which is getting increasingly frustrated and disheartened. I have the beginnings of an idea which might help move things on. I will be in touch on this soon. Thank you for this article, Beth! As somebody tuned and watching the space to identify “real” roles for senior CX professionals, I could not agree more to your observations and insights. They do match my own’s and most of the roles do indeed wish for a Digital Marketer. It is indeed about time we put our recruitment budgets where our aspirations are – only I do not believe this is already happening – at least not here in the UK. Thanks Sheila. Like me, you have learned this the hard way. The positive is that you can see clearly what you are up against now. Definitely worth a discussion with Jo@CX Talent (above).